The goal is to have it finalized in the coming days, according to a DHS official. 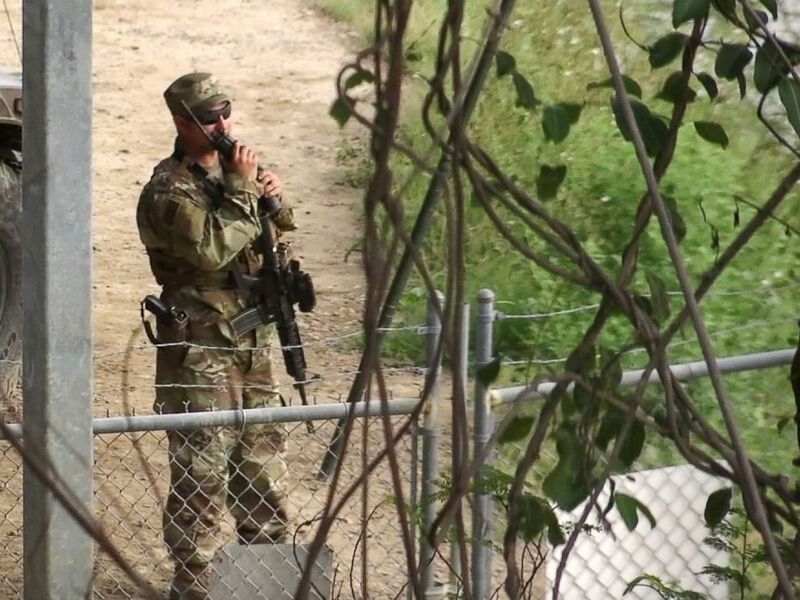 National Guard troops guard the U.S. border in Roma, Texas, April 10, 2018. President Donald Trump requested the deployment to help curb the flow of illegal immigration. There are currently about 1,600 National Guardsmen serving on the U.S.-Mexico border as part of Trump's mission. About 2,000 troops have been already approved to take part in the mission. This new request would increase that figure to roughly 2,700. Mattis has authorized up to 4,000 total troops to participate through the end of September. As of Wednesday, there are about 750 troops on the ground assisting Border Patrol specifically – this does not include additional support troops assigned to the mission or troops currently in orientation. The California National Guard troops in the El Centro and San Diego sectors are in orientation this week and expect to be on the ground later this week or early next week, according to a DHS official. The current on-the-ground missions include air interdiction support, road maintenance and vegetation clearing, operational support with radio operators, fleet maintenance, intelligence analysts and surveillance support. National Guard troops will not be carrying out law enforcement actions, according to DHS. The assistance is designed to free-up Border Patrol agents to carry out arrests and interdictions on the border. DHS officials said that National Guard support has led to over 1,600 apprehensions, 451 voluntary returns, and the seizure of 1,000 pounds of marijuana. A member of the National Guard watches over Rio Grande River on the border in Roma, Texas. The deployment of National Guard members to the U.S.-Mexico border at President Donald Trump's request was underway with a gradual ramp-up of troops. However, DHS was unable to provide a comparison to a similar time period without National Guard assistance. Last week, chief Pentagon spokesperson Dana White confirmed that the estimated cost for 2,000 personnel and equipment already approved for the border security mission is about $182 million until the end of September. Those funds are coming from the National Guard's Operations & Maintenance budget and military personnel accounts. White said there is not a concern at this time that the money could affect readiness. These additional troops and equipment would increase the cost estimate.